What was the biggest technological development that changed the way we listen to music? Was it the dawn of the CD, which did away with the need for cassette tapes? Or was it the development of portable music devices such as the iPod? It’s hard to pinpoint just a single development that has upended the music industry, but the dawn of music streaming apps not only changed the way artists deliver their songs, but also how we listen to music. Here are a few ways that apps have forever changed the way we listen to music. The original Walkman, the Discman, the first iPod and other early MP3 players all have one thing in common: they had one main feature. Each device was dedicated to playing music. And while each invention provided a huge leap in convenience for music lovers, they all still meant that you had to bring a separate device along with you to listen to music. Smartphones and their apps changed the game completely, providing a way to listen to music on a device you’re already using for a variety of tasks such as messaging, phone calls and more. When music streaming and radio apps became available, you didn’t even need to have songs downloaded onto your device to listen to them. Now we can listen to music anytime and almost anywhere. Another unique feature brought to us by music apps are music subscriptions. In the past, we could only listen to music we had personally bought. But nowadays, a monthly subscription will give you access to millions of songs. Deezer, for example, gives users access to a catalogue of over 53 million songs from across the globe. You can also listen to music for no cost on the free plan, but this comes with advertising and limited song skipping. These subscriptions mean that we are no longer limited to songs we’ve bought or ones that air on the radio. We now have access to millions of songs to which we never would have been able to listen before. Thanks to machine learning and artificial intelligence, discovering potential music you might enjoy is incredibly easy. Music streaming services now recommend artists and albums that you are likely to enjoy based on your music habits and which songs you like. You no longer need to listen to hours of radio or wait for your friends’ latest recommendations. Rather, you can explore catalogues quickly to discover new music with limited effort. Other app users often curate their own playlists too, which you can listen to if they’re publicly available. There was a time when our music collections took up space in our lives – either as a large stack of CDs or a folder on our electronic devices. But with cloud storage, you don’t have to worry about keeping copies of your music safe. Apps make our collections available through the cloud, which means they are always available to stream or re-download. This takes a lot of the stress out of managing and storing your music collection. Nowadays, you don’t have to worry about a device malfunction deleting your music, or the dreaded scratch on a CD. Your collection is stored by the music app service you use. Want to see what the music streaming revolution is all about? There are a variety you can choose from. We recommend Deezer, which has one of the biggest catalogues available at competitive prices and includes local South African artists. 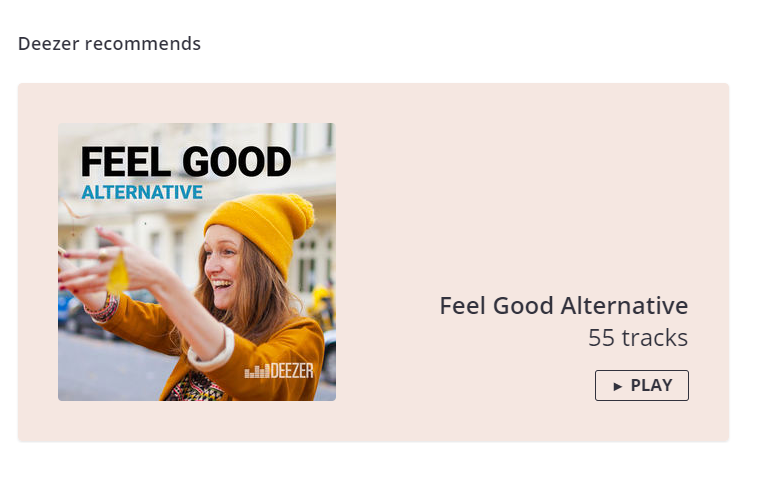 You can sign up to Deezer for free or opt for a premium plan through the app or on its website. Visit the Deezer website or download the Deezer app on Android or iOS to set up your account.